Despite the recent media focus on plastic as an environmental issue, its popularity as a raw material continues to rise. Half of the total amount of synthetic plastic resins and fibres ever manufactured have been produced in the past 13 years1. It’s estimated that production will increase by a further 40% over the next decade. According to the American Chemistry Council, since 20102 , $186 billion has been invested in new plastics manufacturing facilities in the US. Plastics are used in packaging, toys, furniture and consumer goods such as wrapping paper, nappies, wet wipes, chewing gum and teabags, paper cups and food and drink cans. In heavier manufacturing plastic products include window frames, building insulation and numerous car parts such as bumpers, body panels and interior trim. There are reasons for the ongoing ubiquity of plastic: as a resource it is cheap, lightweight, waterproof and requires less energy to manufacture than many other materials. Unfortunately, another important advantage of plastic is also the reason it creates such an issue in the environment: its durability. Plastic has become emblematic of the problems inherent in the traditional consumption-led economic model because its durability and visibility means we are now seeing it everywhere. This is unsurprising when we consider that of the 8.3billion metric tonnes of plastic produced globally, an estimated 4.9 billion tonnes have been discarded, rather than incinerated or recycled. While it is possible to reduce the environmental impact of plastics widely used in drinks bottles, such as the polyethylene terephthalate (PET), through more effective and comprehensive recycling, the way plastic is used in other products makes recycling almost impossible. This is because they were never designed to be recycled. They are part of an economic model in which products are produced, used and simply thrown away. 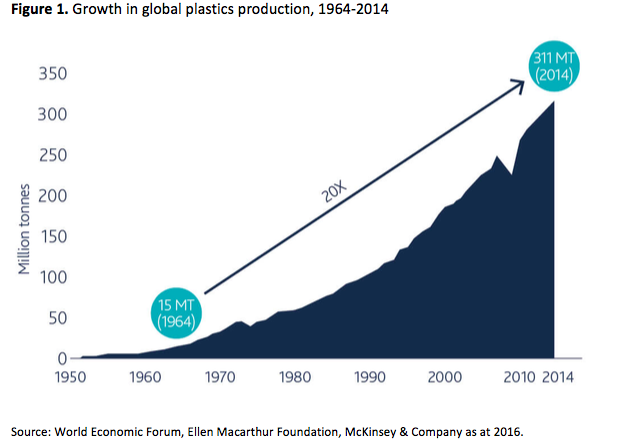 Focusing on plastic itself risks missing the underlying issue, which is that the global economy is overwhelmingly linear. Essentially, a linear economy is an economic system in which goods are produced, used and then, at the end of their useful life, disposed. From a purely economic perspective, a linear economy works well because it ensures ongoing demand for new products, which promotes economic growth, especially when demand is stimulated further through designed obsolescence and single-use products. However, from the point of view of resource depletion and pollution, a linear economy is problematic. 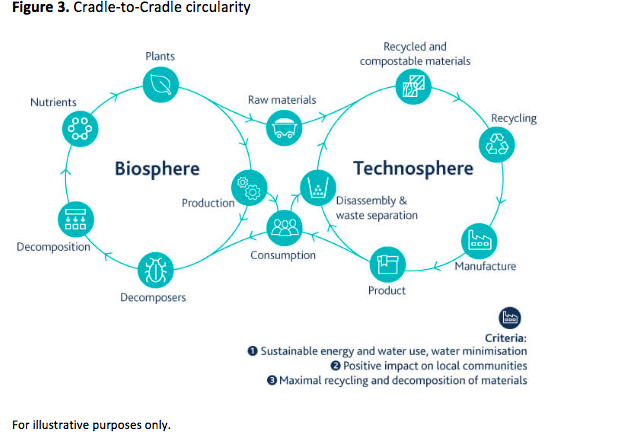 A truly circular economy calls for businesses not just to maximise recycling and minimise waste but to fundamentally re-engineer their products and services, by taking a so-called ‘cradle-to-cradle’ approach. It involves intensive resource efficiency relating to water, energy and materials, reduced packaging and high recycling rates, and asks consumers to consider sustainability as a critical factor in their purchasing decisions. To read more on the topic and see company case studies please click here. For further information, please also listen to our podcast on investing for a circular economy. 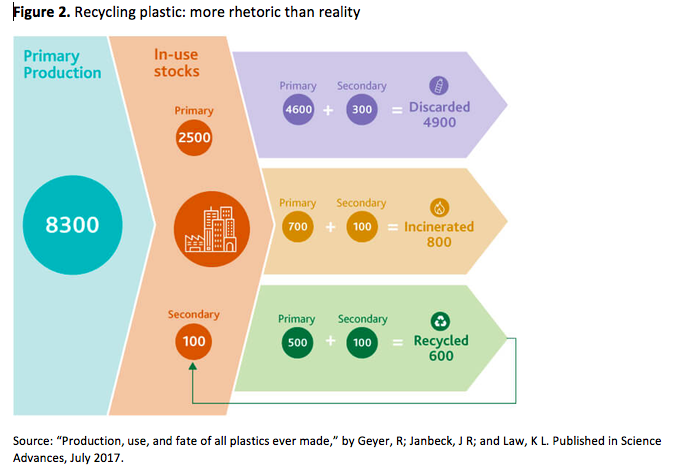 1“Production, use, and fate of all plastics ever made,” by Geyer, R; Janbeck, J R, Law, K L. Published in Science Advances, July 2017. Experts at an AsianInvestor forum voice wildly differing views on the drivers of global economics and whether the US Federal Reserve will raise rates next year.